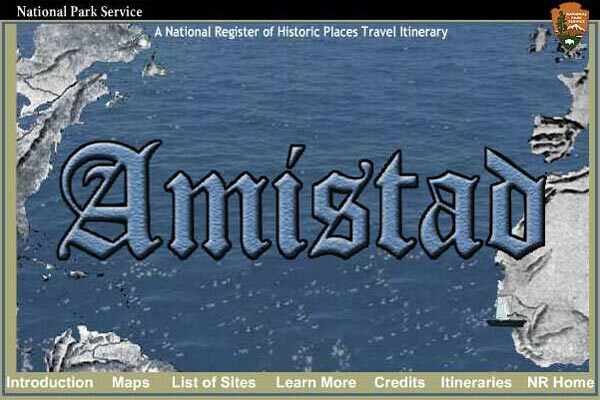 Write a summary of what happened in the first chapter of the Amistad. Write in complete sentences and include important details. Tell how what you read in the chapter connects with what you already know about slavery. Tell what you have learned about Harriet Tubman so far. 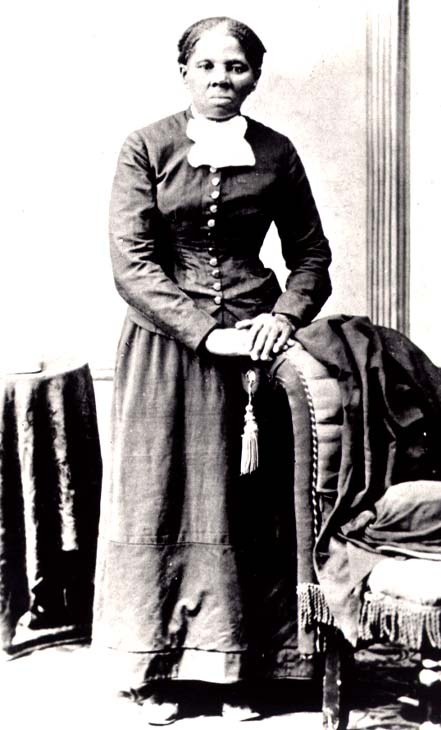 Write at least 5 sentences about what you have learned about Harriet Tubman. runaway, Hiding, Station Master, Pennsylvania, Her Sister Mary Ann, going back, Mason-Dixon Line, William Still, Secret. What event started the slave Trade? Where did the slave trade begin? (What happened first) Who were involved? 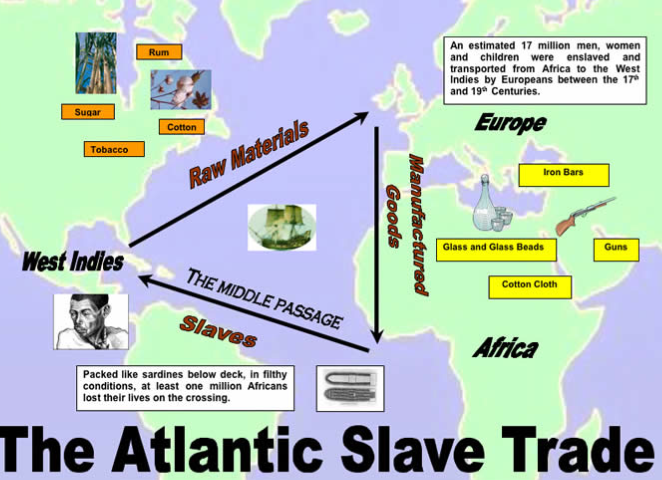 Why was it called the triangle slave trade? Now tell a story using what happened first, the next, then next? What was the main reason for the slave trade? Why did it continue for 300 hundred years? What part did Africans play in the slave trade? 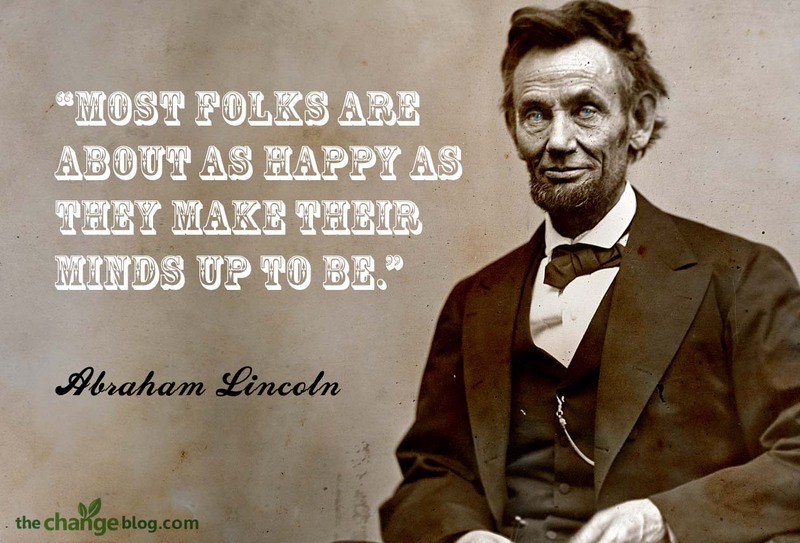 Today February 12 is president Abraham Lincoln’s birthday. He was born on February 12th 1809, and died April 15th 1865 at the age of fifty six. His home state is Illinois. The president before him was James Buchanan and succeeded by Andrew Johnson. His wife was called Mary Todd Lincoln, was brought up rich. Mary’s parents disagreed with her marrying Abraham because he had a poor background. Abraham had four children, Robert Todd Lincoln, Edward Lincoln, Willie Lincoln, Tad Lincoln. Only Robert Todd Lincoln survived into adulthood. Abraham was an unaffiliated Christian as he never officially acquired church membership. He was the first president to be assassinated. He had deep depression, even though he would frequently tell stories and jokes to friends and family. His birth mother died from milk sickness. His father remarried a widow, and Abraham was very close to his step mother. He ran a store in New Salem. Even though he was strong, a talented wrestler, and proficient with an axe, Lincoln disliked killing and harming animals, even for food. Lincoln proposed to Mary just one year after meeting her in Springfield 1839. Lincoln, one week before his death, had a dream of someone crying in the White House, when he found the room; he looked in and asked who had passed away. The man in the room said the President. When he looked in the coffin it was his own face he saw. 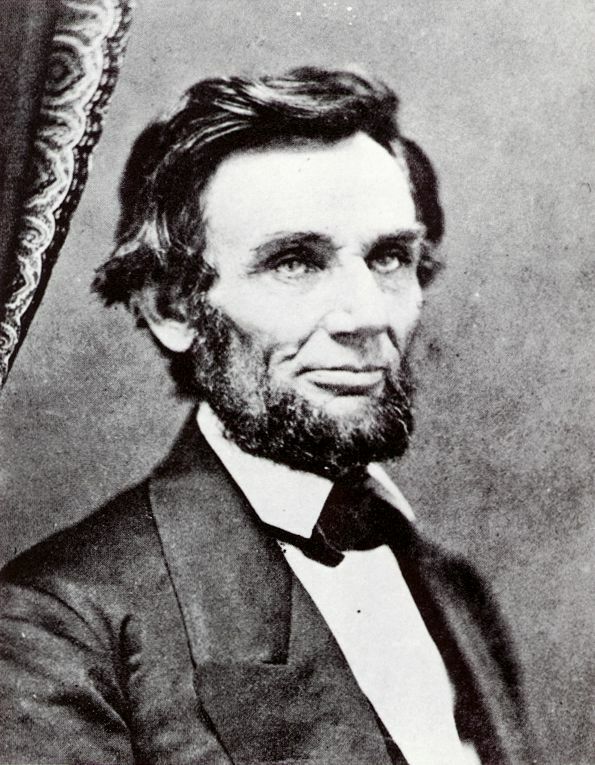 Lincoln’s view of slavery was not always clear though he did not want to see slavery spread to the territories it would not be fair or correct to say he was in any way an abolitionist. He favored returning the african-american slaves back to Africa. To say that he particularly believed in equality for african-americans would be false. He did not see them as his equal. As the war went on this position slowly shifted but it is important that we understand the Lincoln was not an abolitionist. His interactions with Frederick Douglass helped to shift Lincoln’s view of african americans but it is important to understand that though he thought slavery was cruel and terrible he did not favor full citizenship for blacks until very late in the war. On August 29, 1839, three days after the schooner’s discovery, Judge Judson opened a hearing on complaints of murder and piracy filed by Montes and Ruiz. Thirty-nine Africans (of the forty-three who had survived the weeks at sea) were present, including Cinque, who appeared wearing a red flannel shirt, white duck pants, and manacles. He appeared calm and mute, occasionally making a motion with his hand to his throat to suggest a hanging. After listening to the testimony, Judge Judson referred the case for trial in Circuit Court, where in 1839 all federal criminal trials were held, and ordered the Africans put into custody at the county jail in New Haven. The Amistads became a huge attraction. As many as 5,000 people a day visited the jail. The jailer charged “one New York shilling” (about twelve cents) for close looks at the captives. The Africans also attracted scientific interest. A phrenologist examined the captives and took “life masks” which were later put on public display. The New Haven jail was relatively loose. Jailers took the children, “robust” and “full of hilarity,” on wagon rides. The adults were allowed daily exercise on New Haven’s green, where their cavorting, somersaults, and acrobatic leaps surprised residents unaccustomed to such public displays of exuberance. For most New Englanders the Amistads were a curiosity. For a small, but growing, group of abolitionists, however, they were a cause and an opportunity. Abolitionist leader Lewis Tappandescribed the capture of the Africans as a “providential occurrence” that might allow “the heart of the nation” to be touched “through the power of sympathy.” The “Amistad Committee” was quickly formed and soon the group had enlisted legal help, including that of Roger Baldwin, who would later become the governor of Connecticut. On September 14, 1839, the Amistads were sent by canal boat and stage to Hartford for their trial in the Circuit courtroom of Judge Smith Thompson, who also served (as was then the custom for Circuit Court judges) as a justice on the United States Supreme Court. Holabird asked the court to turn all the prisoners over to the President and to let him decide this matter that bore heavily on the relations between great powers. Baldwin, for the defense, argued that “no power on earth has the right to reduce [the Africans] to slavery” and the United States should never stoop so low as to become a “slave-catcher for foreign slave-holders.” Judge Thompson preferred to evade the larger debate over abolition and rested his decision on jurisdictional grounds. He decided after three days of argument that because the alleged mutiny and murders occurred in international waters and did not involve U.. S. citizens, the court had no jurisdiction to consider the criminal charges. Were the slaves “property”? That was a matter, Judge Thompson ruled, that had to be decided first in the district court. Thompson ruled that the Africans, although no longer considered prisoners, should be detained until the district court could decide whether they were property and–if they were property–who owned them. In June 1839, four months after they had been forcibly enslaved and illegally shipped to Cuba, 53 African captives revolted as they were being transported on the schooner Amistad from Havana to Guanaja, Cuba. By day, at the Africans’ orders, two surviving whites sailed the slave ship east toward Africa. But at night, the whites, who had purchased the rebels, altered the ship’s course to the northwest. Following this zigzag course for weeks, the Amistad eventually anchored off eastern Long Island, where it was seized by a U.S. naval brig. A hearing was held in New London, Connecticut. The Africans were arrested, charged with mutiny, murder, and piracy and sent to New Haven where they were jailed, to await trial. Abolitionists quickly took up the cause of the Amistad rebels. Legal battles raged for two years. In 1841, former President John Quincy Adams argued the prisoners’ case before the U.S. Supreme Court which, at last, set them free. The Amistad affair took place at a critical moment in the history of the Atlantic slave system. In 1833, Britain emancipated 800,000 colonial blacks; at the same time, the British navy was also engaged in an expensive campaign to suppress the African slave trade. Yet in Cuba and the American South, slavery was continuing to expand. 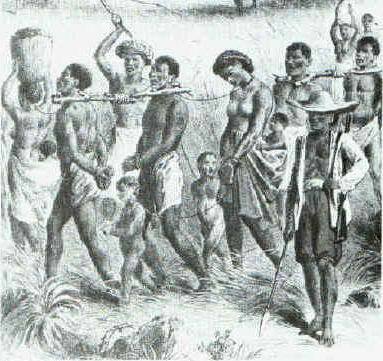 During the 1830s, while Spain was shaken by civil war, Cuba illegally imported approximately 181,600 slaves from Africa. Many American slaveholders coveted Cuba and feared that Britain might seize the Spanish colony on the pretext of violations of slave trade treaties. To understand the Amistad affair’s historical significance, it is essential to locate the case in its proper political context. President Martin Van Buren, who was politically weakened by the disastrous economic Panic of 1837, feared that the Amistad case would undermine his political support in the South and damage his bid for reelection. His administration attempted to subvert the judicial system and deprive the rebels of their right to due process. By 1839, the abolitionists had failed in their efforts to end slavery through moral suasion. Northern mobs, often instigated by “gentlemen of property and standing,” disrupted abolitionist meetings and printing presses. The House of Representatives had adopted the “gag rule,” automatically tabling antislavery petitions. Desperately, abolitionists sought a way to dramatize the horrors of slavery. The Amistad case seemed to provide a providential opportunity to illustrate the federal government’s complicity with slavery and the discrepancy between slavery American ideals of natural rights. The affair played a pivotal role in shifting the abolitionist movement away from the tactics of moral suasion to new methods of political and legal agitation, which would arouse substantial numbers of Northerners against the immoralities of slavery. Prior to the Dred Scott decision, the Amistad case was, arguably, the single most important legal case involving slavery during the nineteenth century. 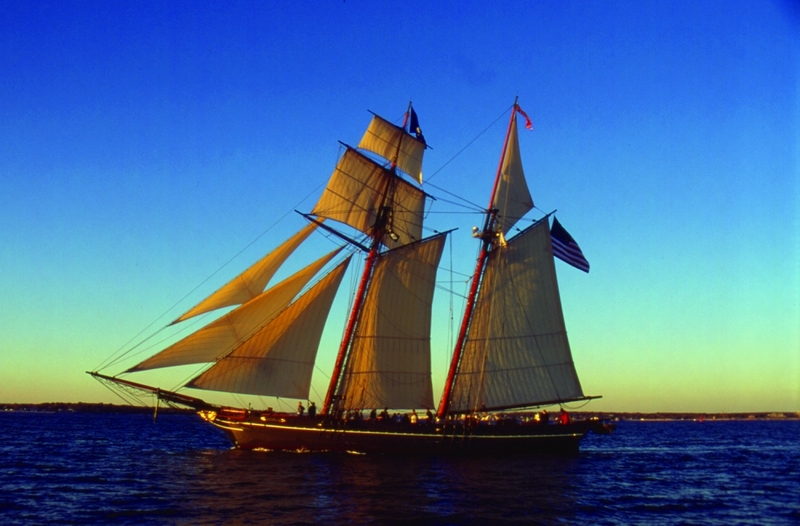 The Amistad case raised critical issues of law and justice. The central issue raised by the case was whether enslaved people had the right to rise up against their captors in rebellion. Do people who are held illegally have a right to self-defense? Another key set of issues involved international law regarding treaty obligations, property rights, and the legality of the international slave trade. 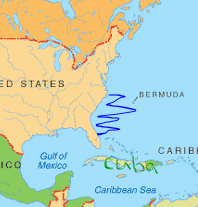 Was the U.S. government obligated to return the rebels to Cuba under 1795 and 1819 treaties with Spain, which provided for the return of property rescued from pirates on the high seas? Was the United States obligated to respect Spanish claims that the rebels were legal slave property or did it have an independent obligation to ascertain the accuracy of those claims? Tecora to Havana, Cuba. Nearly a third of the slaves died during the long trip — some from malnutrition, others from beatings. and set sail for their plantation at Port Principe, Cuba. used sign language to ask the Spanish cook what lay in store for the captured slaves on board. The cook jokingly replied in sign language that the Africans would be killed and eaten! That night — frightened by the tale of the ship’s cook — one of the slaves, whom the Spaniards called Cinque, used a nail he found to pick the padlocks that kept him chained to another at the legs and wrists. Then he worked to unchain the others. Soon the Africans found on board some sugar cane knives with two-foot-long blades — the perfect tools for their takeover of theAmistad. Two Africans and two Spaniards were killed in the ensuing struggle. The African slaves, now in control of the boat, demanded that Ruiz and Montes sail east, toward the rising sun — back to their African homeland. 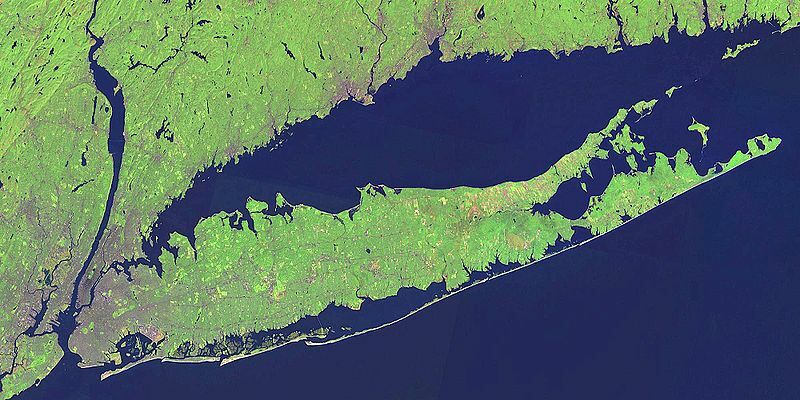 Long Island, New York. There they hoped to trade for badly needed supplies. 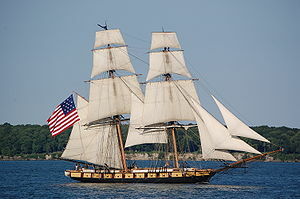 Instead, sailors on the U.S. Navy brig Washington spotted the Amistad. The Navy sailors, after hearing the Spaniards’ version of the story, took captive the boat, its cargo, and the Africans. 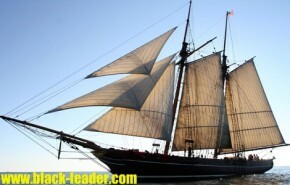 The sailors thought they might receive a reward for capturing the Amistad. If not, they might be able to make money by selling some of the slaves. 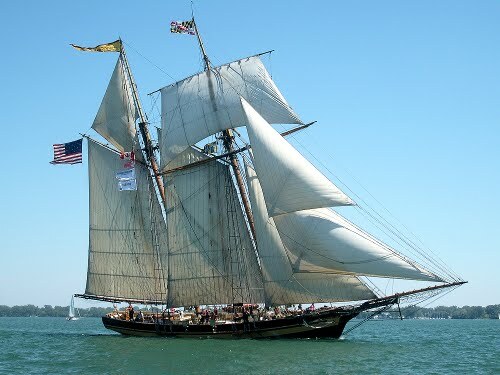 The Washington towed the Amistad to New London, Connecticut. The sailors could have towed the Spanish ship to a nearby port in New York, but slavery was illegal in New York. There the sailors wouldn’t have any chance of selling the slaves. In Connecticut, slavery was still legal (though, by most accounts, only about 20 slaves lived in the entire state at that time). LAST WEEK WE LOOKED AT THE SLAVE TRADE IN 3 STAGES NOW LETS PUT A NAME TO THESE 3 STAGES. First, the slave traders leave Europe and are directed to African West coast. Then they go from African West coast to West Indies or America. Finally they sail home from America. A complete trip lasts about 12 months. It is the first part of long trip along the Atlantic Ocean. This first voyage takes around 6 or 8 weeks. The slave traders load their ships with goods in order to buy their live cargoes (the African slaves). The trade is very profitable because the good’s worth is very low in comparison with the African slaves’ worth. The African slaves are kept into castle dungeons or open barracoons near the beach. They do not stay for a long time on the African West coast in order to avoid the disease. Captured villagers to be sold on the coast. It is the most dangerous journey because the bad conditions sometimes make the seamen or the African slaves to start a mutiny (for example the famous successful mutiny on “the Amistad”). The slaves’ mutinies are severly reprimanded by the captain and his crew. Conditions for the African slaves during the Middle Passage are worse than theirs in the barracoons. They have just enough space, food and water to survive. There is no hygiene. The passengers are often victims of disease. A slaver ship captain called Wilberforce say: “never can so much misery be found condensed into small a space as in a slave-ship during the Middle Passage” Around 10% (In some cases 20%) of the slaves die during the journey. This is the last round of the triangular trade. The African slaves who survived to the atrocious Middle Passage are unloaded for being sold in the West Indies. The African slaves are sold on thee boat or near the port in slave markets. Different kinds of purchasing exist (for example the auction). 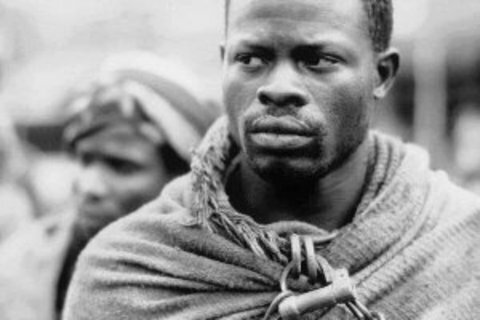 The African slaves are bought with plantation’s goods, money or exchange bills. Slaves being sold After an entire cleaning of the ships, it is uploaded with sugar, rum, spices, cotton and others goods from West Indies and English America. Now the ship I ready to sail to Europe with its cargo and to finish its twelve months trip. sugar barrelsunloaded.